On the morning of Saturday February 13, 2016, at the Qin Dynasty Restaurant in Houston, local people clad in oriental-style outfits poured into the restaurant lobby for a Lunar New Year’s celebration luncheon. It might not be strange for an alumni association to get together to share nostalgic moments from their time in school, but participating in a reunion to learn about different cultures has become a unique tradition for members of the Houston Oxford Society (HOS). 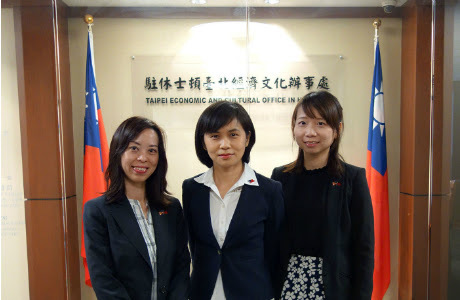 Last year, the Co-chair of HOS, Ms. Wykowsky, and her fellow members had a great reunion that was co-organized with the Education Division of the Taipei Economic and Cultural Office (TECO) in Houston. 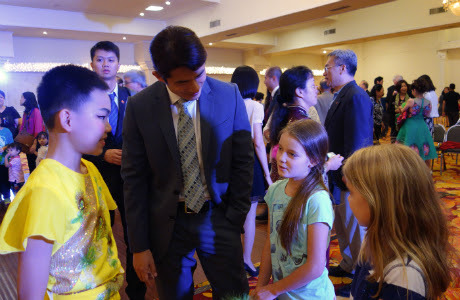 The meeting featured a presentation on the traditions and customs that lots of Asian countries practice during the Lunar New Year and demonstrations of Chinese calligraphic characters being scribed on strips of red paper that are used for warding off evil spirits. These meetings have been such a great success that celebrating the Lunar New Year together has become a tradition for HOS members. This year, to cheer the arrival of the Year of the Monkey, Ms. Wykowsky invited the Education Division to co-host the occasion as it had done last year. 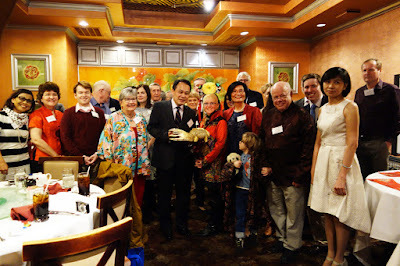 The celebration luncheon kicked off on the weekend before the Lunar New Year festivities ended. To introduce the old members to some new things about traditional customs this year, the presentation focused on the cultural differences between Western and Eastern countries, starting with a juxtaposition of soy sauce and ketchup images, which immediately filled up the restaurant’s private room with thunderous laughter. 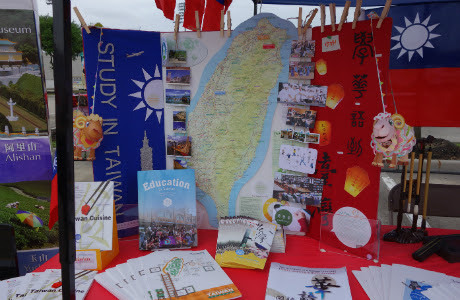 In addition to the presentation and calligraphy inscriptions, the Education Division designed a greeting card incorporating this year’s Chinese zodiac, the Monkey, with a New Taiwan Dollar note to insert in red envelopes for every attendee. The tradition of giving red envelopes was explained during their distribution which took place after the meal in order to bless the recipients and ensure a very prosperous new year. 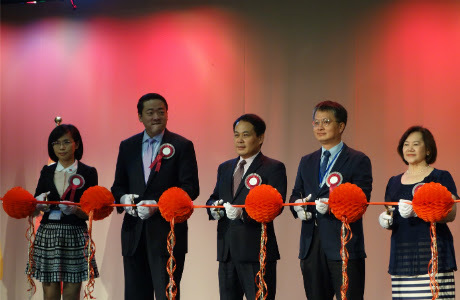 Louis M. Huang, the Director General of TECO, and several officers who have connections with Oxford University were also invited to join the celebration. 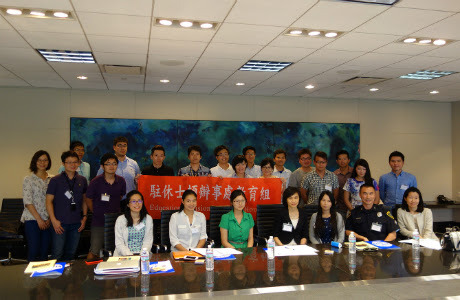 During Ms. Wykowsky’s welcome speech, to express her heartfelt concern over a recent incident that occurred in Tainan Taiwan, she requested that every attendee join her for a moment of silence for those who suffered from the catastrophic earthquake that happened two days before the Lunar New Year. · Minimum of a Bachelor’s degree from an accredited college or university. · Competitive starting salary of $51,500. Higher salary steps are determined by credited years of service. Applications must be completed, no later than February 29, 2016. The effective date and validity period of the certificate, certification area(s), and grade level(s). Must state that the credential is in good standing, and has not been revoked, suspended, or sanctioned for misconduct and is not pending disciplinary or adverse action. The statement must be in the English language or must be accompanied by a translation in English from an approved credential evaluation or accredited translation service. This written statement must be current and within the last year. Verification of satisfactory score on the Test of English as a Foreign Language - Internet Based Test (TOEFL-iBT). You must take all four portions (Listening, Speaking, Reading, and Writing) for your score to be calculated. Only a passing score on the Speaking portion is required at this time. The acceptable passing score on the Speaking portion is 26. To have scores submitted directly to TEA use the agency code 8225.